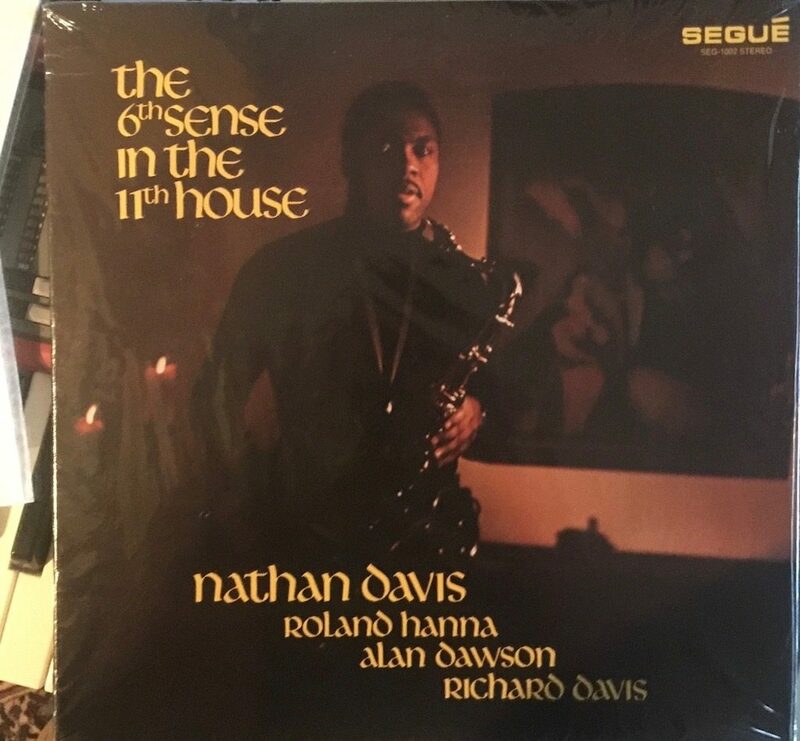 Life is a wonderfully strange thing sometimes, small worlds and hidden treasures in plain sight: I had been hunting for copy of Nathan Davis’ The 6th Sense in the 11thHouse, released in 1972. 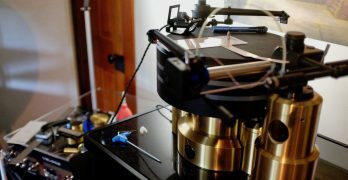 The record, if not rare, doesn’t seem to be all that common or well-known in the audiophile community. There was a promo copy on Discogs for stupid money, and I kept my eye out. One night, sleepless, I hit e-Bay to set up a search/alert for the record when up popped a “New Listing” for a sealed promo copy for very reasonable money. Of course I jumped on it. It may be one of the best records I own. Now for the small world part: The record was recorded in Pittsburgh, at WRS Studios, where my e-Bay seller originally picked it up back in the day. The studio owner had been evicted and I gather my seller got this copy and several more for almost nothing. Turns out Nathan Davis was a pretty big deal in the Pittsburgh Jazz scene; he helped establish the jazz studies program at the University of Pittsburgh and was involved in a number of other initiatives, including a jazz concert series, a hall of fame and an archive. I lived in Pittsburgh at that time, though I wasn’t really plugged into the jazz scene then. One of my friends used to drive from Pittsburgh to Boston take drum lessons from Alan Dawson, who was at Berklee, and appears on this album. In researching the record and the studio, I came across a lot of familiar names from that era. Turns out, a candidate for a masters degree did his thesis on Pittsburgh jazz records, including those released by Nathan Davis and defended it before a faculty panel that included Davis! See Peña, PITTSBURGH JAZZ RECORDS AND BEYOND, 1950-1985(UPIT, 2007)(“Pgh. Jazz”). WRS Studios appears to have gone bankrupt during the summer of 2001. One of its claims to fame (aside from this record) was that the facility housed the negatives for “Night of the Living Dead.” It was apparently not only a production studio but included a processing lab and a large film storage vault which had over 750,000 canisters of film, including many from the major studios, at the time it was shuttered. I’m sure there’s a lot else I missed when I lived in Pittsburgh (one of T-Bone Walker’s last shows was there, at the Stanley Theater), but my warm feelings of nostalgia about all these little connections to the place in no way cloud my judgment about this record- it is a stone killer, sonically and musically. It consists of original compositions, save for an offbeat rendition of “The Shadow of Your Smile.” Dawson and Nathan connected in a tour of Europe; Roland Hanna met at one of the concerts held as part of the Pittsburgh Seminar on Jazz. Richard Davis, who plays bass on the album, also met Nathan in Europe while playing a festival. 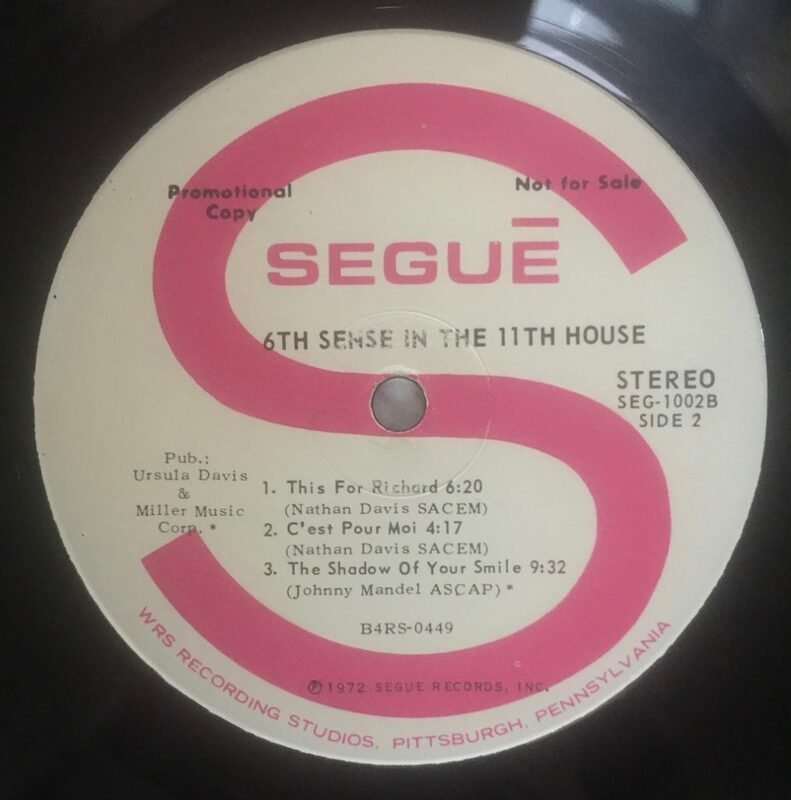 It is on the Segué Records label, which was founded at WRS Motion Picture Labs and according to some notes I found on the web, Nathan Davis was the VP of the label, which included several other of his releases at the time. 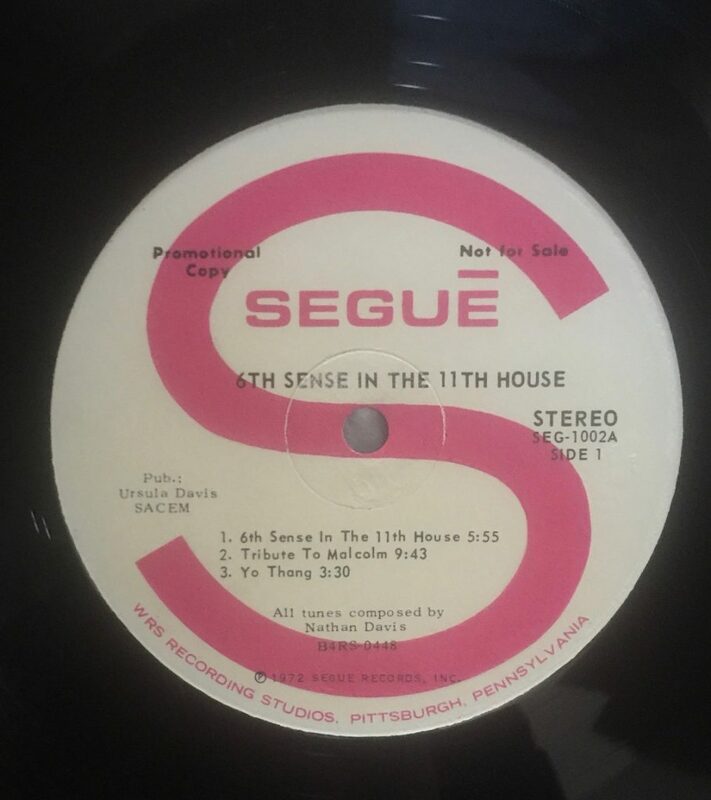 According to Peña, “The session [of “6thSense”] is notable for, among other things, the crystalline sound quality achieved by Kuuskler.” Pgh. Jazz at 45. And stunning it is—I can’t think of another record offhand that conveys the immediacy of the instruments without sounding off balance in some other way- it is neither too bright nor too warm—it just sounds very real without being over-hyped, sonically. Musically? This is one of those albums that should be ranked among top jazz albums, but seems MIA. Who knows where the tapes are at this point? Given that the chances of a reissue are slight to none as of this writing (unless I learn differently), I’d put this on your watch list. I’m so pleased I found a copy. I hope you do too. Richard Davis is the only one among the principal musicians who is still alive as of this writing and was, for many years, a leading figure at the University of Wisconsin School of Music. Another storied player with an impressive discography that includes, among many jazz recordings, Van Morrison’s Astral Weeks. Kuuskler (Olaf) was apparently an in-house engineer at WRS who also worked on some records from Mister Rogers, another notable from the ‘Burgh. This is the second record I have tried to purchase after your review. I successfully found Nate Morgan repress from GB. 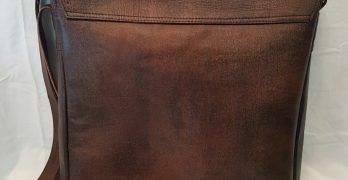 Now I am checking on this lp and it has doubled in price since your review. Coincidence? I think not. Keep on digging up these gems. 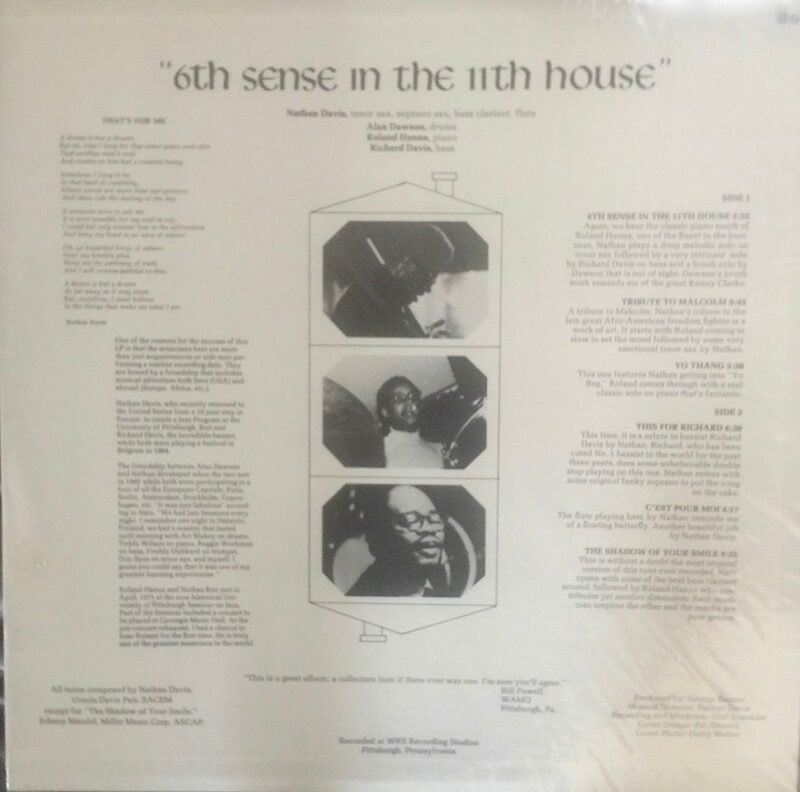 Hey, A. R. : I’m glad the site is being read and sorry that it is driving prices- the guy I got my copy of 6th Sense from was on ebay with a user name like ‘subaru’ something or other- he had a few sealed promos. 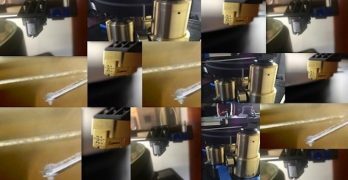 The other suggestion I can give you is to follow Ken Golden’s postings on Facebook and Instagram- Ken is very tuned into less mainstream stuff, has considerable prowess in finding these gems and is constantly coming up with more. We cross over on certain things that wind up getting coverage here, but Ken is a great source of info if you are on those platforms. (He’s contributed a few pieces here as well and is a BBQ master. I’m trying to get him to visit Austin). 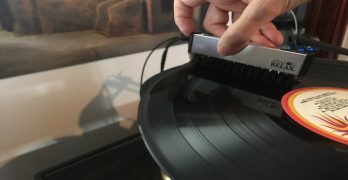 Thanks for writing- if you attend the local record fair, happy to meet up at some point since we are almost neighbors! Got my copy of 6th Sense last night. I was up early before work this morning and was thrilled with the record. 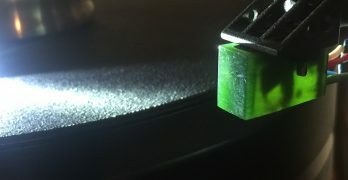 Super light vinyl even lighter than my RCA dynaflexes and quiet. The engineering/mix is top notch the drumming/brushwork is clean and balanced. Thanks again for the recommendation! Looking forward to the Record Convention in May.